FINISH: Clean and minimal track bike we managed to squeeze in around the Bespoked 2017 workload to have it ready for #rhc in Brooklyn. Kamal worked closely with Trevor at Autumn Frameworks to design and build his dream bike. Given the time constraints involved, we had to keep this finish fairly simple. 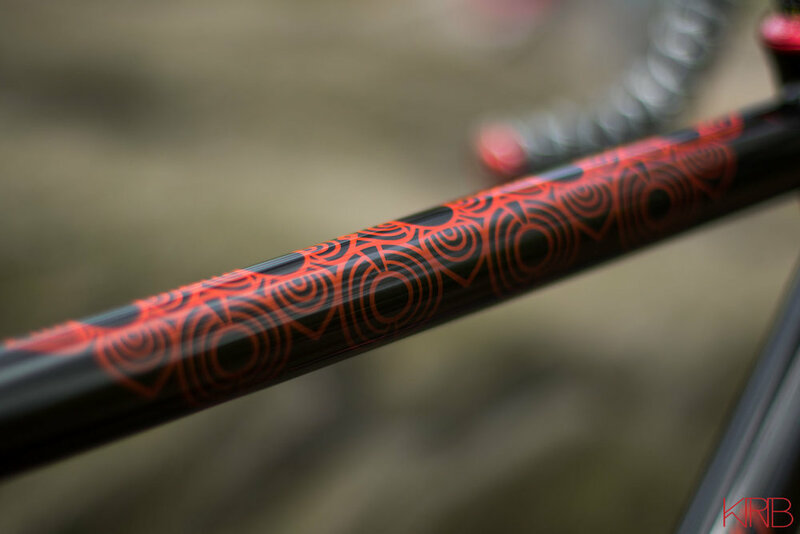 A geometric mandala pattern reveals a subtle fade on the top tube. 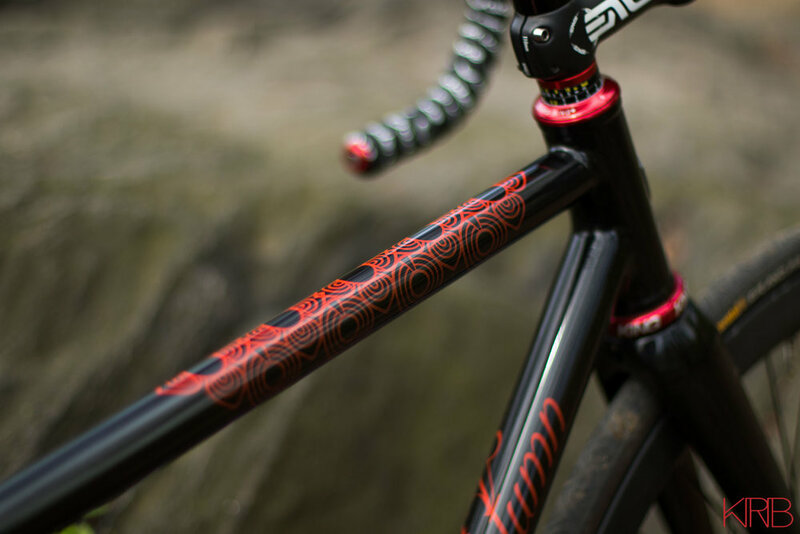 A collaborative totem on the seat tube, logotype on the downtube and the Columbus branding on the fork also feature the same fade consisting of RAL Pure Red which transitions into a custom coloured blend of Supreme Red and Hot Chocolate Brown. On this project we enlisted the skills of independent jeweller Ella Bull to make a solid silver headbadge which really finishes off the build and pops against the Cosmos black.